JAKARTA, Indonesia — Malaysian fleet operator Measat will soon join the increasingly crowded club of companies with high-throughput satellites in the Asia Pacific. Measat Chief Operating Officer Yau Chyong Lim said July 3 that the company is preparing to order a high-throughput spacecraft it hopes to have in orbit in 2021 to provide broadband services mainly in Malaysia. The new satellite, to be located at 91.5 degrees east where three other Measat spacecraft are positioned, will feature technology upgrades to give Measat a chance to compete where oversupply has ratcheted down the price of capacity. “Our next-generation HTS satellite gives us the opportunity to bring [our] costs down,” he said at the APSAT 2018 conference here. High-throughput satellites, commonly referred to as HTS, employ frequency reuse and multiple spot beams in order to deliver more capacity than a traditional telecom satellite. After seeing HTS advance over the Americas, Europe and Africa, regional and global operators are beginning to put HTS satellites over Asia en masse. SES and Eutelsat have in the past 13 months placed HTS spacecraft over Asia (SES-12 and Eutelsat-172b); Intelsat will later this year launch the Horizons-3e satellite co-owned with Sky Perfect Jsat of Japan, and Telesat will place HTS capacity over Asia with Telstar-18 Vantage/Apstar-5C, a satellite shared with APT Satellite of Hong Kong. More Asia-Pacific HTS capacity is on the way from Singapore-based Kacific, PSN of Indonesia, Beijing-based China Satcom and soon also mu Space of Thailand. Measat will take a “hybrid satellite approach” to its HTS project, featuring multiple payloads that can support different services, Lim said. With its six-satellite fleet, more than 75 percent of Measat’s revenue is television broadcast, he said, and those services rely on regular wide-beam capacity. Measat currently provides some data services through Thaicom’s IPstar satellite, rebranded as Measat-5 for broadband in Malaysia. 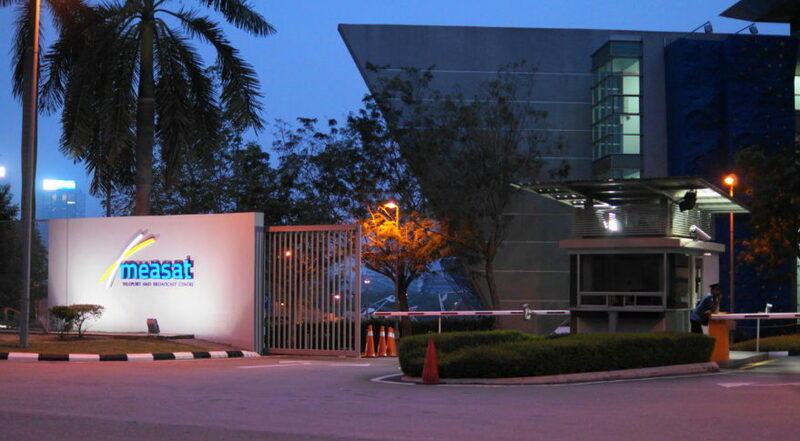 Lim said Malaysia is a strong market for Measat’s very small aperture terminal data services, and that television broadcasts will continue to be a major focus for the company.